Meet Ali, the charming son of a Muslim cleric who, despite the best of intentions, just can’t seem to make the right life choices. Ali dreams big – he wants to be with the girl he loves, but he’s been promised to another girl at his father’s mosque. He wants to be the great doctor that the community expects him to be, but he doesn’t get good enough marks. And above all he wants to make his father proud. Really proud. So what will Ali do to live up to the impossible expectations? Fake it. Because as the son of the cleric, he doesn’t have a choice. It’s one bad decision after another as Ali’s wayward quest to please his father and his God spirals out of control, with cataclysmic consequences. Ali’s Weddingis an affectionate and entertaining story about family, duty and love in multicultural Australia. 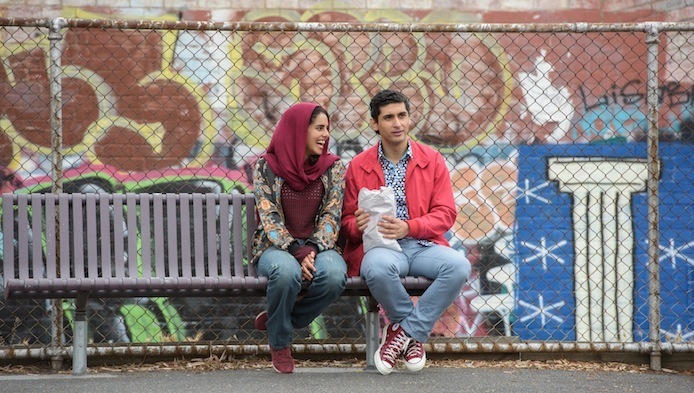 Depicting the lives of a Muslim family in Melbourne with authenticity and warmth, it finds the common bonds of all families: parents who want the best for their children and children who are trying to work out their place in the world.